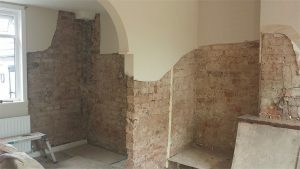 In this episode of The A-Z of Damp from Atlantis Damp & Timber Proofing Specialists Ltd, H is for…… Hygroscopic Salts and re plastering a damp wall. When dampness has been rising from in the wall in your property for some time, the soluble salts (mainly Chloride and Nitrates) become concentrated where the water evaporates from the wall. These deposits of salts are Hygroscopic. This means they attract the everyday moisture found in your home. This ‘dampness’ is not caused by water rising up the capillaries of the building materials. It is due to the dampness in the walls evaporating to the surface and leaving the telltale tide mark. Why is my plaster work marked? Your wall plaster can act almost like blotting paper and can be highly susceptible to both internal and external sources of damp or moisture. Wall plaster becomes contaminated with dampness from walls, floors and the atmosphere. The presence of a damp stain or salting on the surface of your plaster work is a sure sign that something is going on that needs professional investigation. There are many reasons for the appearance of damp such as rising damp, penetrating damp or condensation. The key to dealing with your damp plaster is to identify the source of moisture and rectify it wherever possible. Once the source of moisture has been dealt with you may need to consider the replacement of the wall plaster, either in a like material or by selection of an appropriate remedial system. 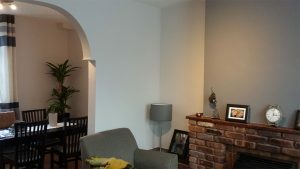 Can I install a DPC without re- plastering determines the success of Damp proofing? We believe that the importance of the re-plastering works in your home cannot be over-emphasised. 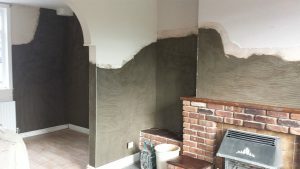 The re plastering determines the success of damp proofing and it must be considered as important as the remedial damp proofing, indeed, if not more important. Once you effectively remove the source of moisture, the hygroscopic salts remain in the wall and can continue to give the appearance of a damp wall. You may find that dampness will appear when the room is humid and disappear when the air is dry. These salts are efficient at absorbing water from the surrounding environment. As a result plasters and masonry may remain damp even though the source of moisture which caused the build up of the salt has been eliminated. There are many different types of plaster available to you. The most commonly used remedial plasters are those incorporating a ‘salt retardant’ additive. It is vital that a special salt retardant additive is used to hold back any residual salts while still allowing the passage of water vapour. In certain circumstances it may be necessary to use specialist renovating plasters that are specifically manufactured for certain situations. 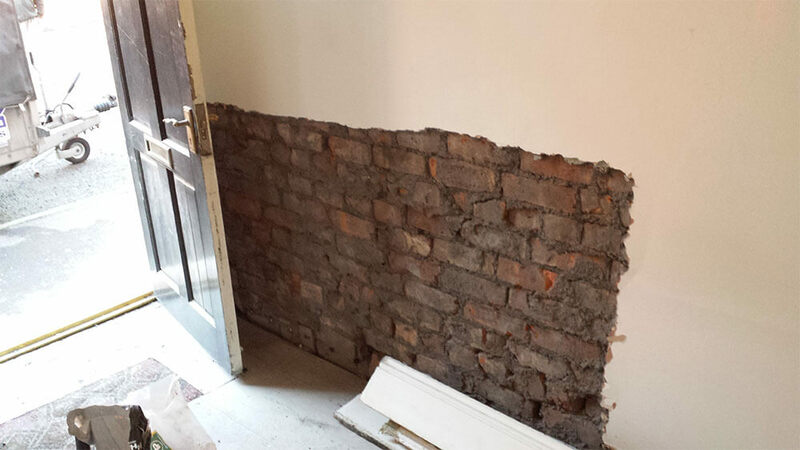 Atlantis Damp Proofing & Timber Specialists Ltd will ensure you are given the correct advice and solutions. All our work can be supported with an insurance backed guarantee, so when we leave so do your damp problems. If you think you’ve spotted some signs of rising damp in your home, contact Atlantis Damp Proofing & Timber Specialists Ltd to gain expert, honest advice.